Look at the picture below, it’s a modern Seicane 2002-2009 Toyota Prado Cruiser 120 head unit to provide you with a lot of convenience and enjoyment with its multiple features including GPS navigation, DVD player, Bluetooth hands-free calls, Bluetooth music, iPod, TV, FM/AM radio, USB, SD card, etc. With such a head unit, you are able to go anywhere with its latest GPS navigation which can offer you lane assist, landmark display, intelligent route planning, millions of points of interests, turn-by-turn direction and voice prompts. You won’t get lost even you are going to hard-to-find locations. Due to the dual-zone function, you can enjoy your favorite music while you are using the GPS navigation system, and the background music will become low when there is voice cues. The GPS navigation system is great for you when you are driving. However, if it’s the first time that you use a head unit, you may have some difficulties on how to use the GPS navigation function. If you have that problem, you can refer to the following method on how to use GPS navigation function in a Toyota Prado Cruiser 120 head unit. First of all, you turn on this Toyota Prado Cruiser 120 head unit, then there appears the main menu. Find out the logo for GPS, it may be “SAT”, “NAV” or “GPS”. Then click the logo. After that, a prompt like “GPS path is missing” comes out, which means you haven’t set the GPS path in the setting. Therefore, you need to go to the setting interface and set the GPS path. Generally speaking, you need to insert an SD card which includes maps into a head unit, then you need to enter the setting interface to set GPS path for the installation. After that, you go back to the main menu and find the GPS logo, click it and the system begins to install. You accept all the agreements you want, then you can finish the installation of the maps. Because it’s the first time for you to use it, there is no route in the map. You can type the starts and destinations according to your needs. 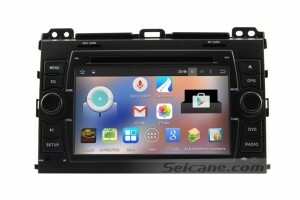 The GPS navigation function in a head unit is the same as that in your mobile phone. If you used to use GPS navigation function in your mobile phone, it’s easy for you to use the GPS navigation function in your head unit. There are up to 37 kinds of languages in the GPS map which, include Chinese Traditional, Chinese Simplified, Japanese ,Korean ,Arabic ,English (Australia),English (Canada) ,English (new Zealand),English (Singapore),English (United kingdom),English (United States) ,Afrikaans, Bahasa Indonesia ,Bahase Melayu ,Deutsch(Deutschland), Deutsch(Liechtenstein), Deutsch(schweiz), Filipino, Fancais(Belgique), Fancais(Canada), Fancais(France),Fancais(Suisse), Italiano(Italia), Italiano(Svizzera), Kiswahili, Latviesu, Magyar,Nederlands, Norsk bokmal,Polski, Portugues(Brasil), Portugues(portugal), Rumantsch, SlovenCina,Suomi, Svenska ,Pyccknn. 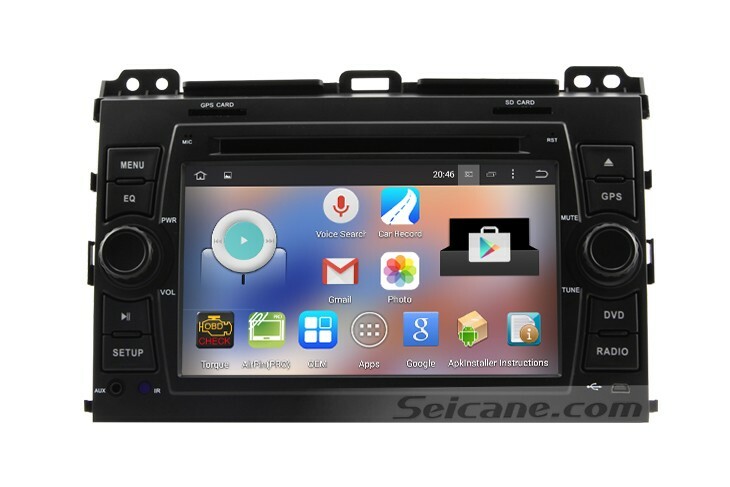 Wish you like this amazing Toyota Prado Cruiser 120 head unit and enjoy your driving from now on!